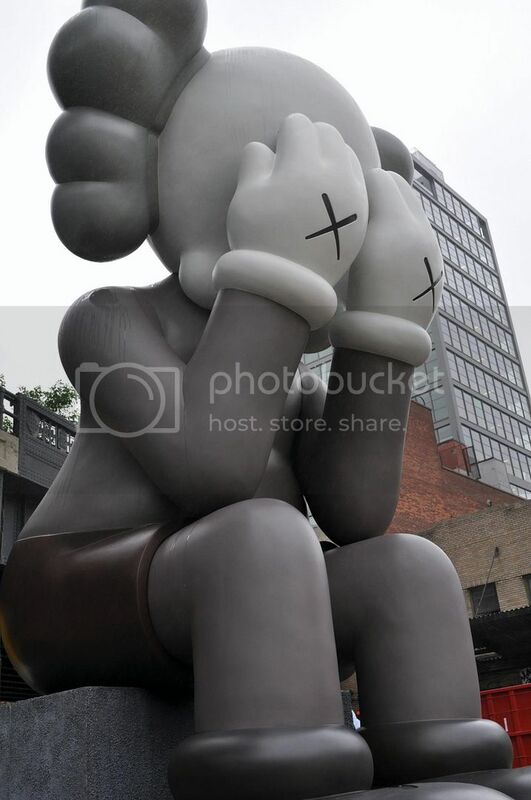 KAWS is known as many different things to different demographics of people. He's a graffiti writer, a clothing designer, a toy maker and most recently a pop artist. Right now, he has his pop artist hat on as one of his most famous characters, the Companion, is now traveling around the world in an outdoor exhibit called "Passing Through." The Companion was previously stationed at Harbour City in Hong Kong and as of June 9th, 2011 the almost 20 foot tall sculpture will be stationed in front of the Standard Hotel in New York City, just under The High Line Park. To go with the exhibit there are some awesome Original-Fake goodies for sale at the Standard's Gift Shop. 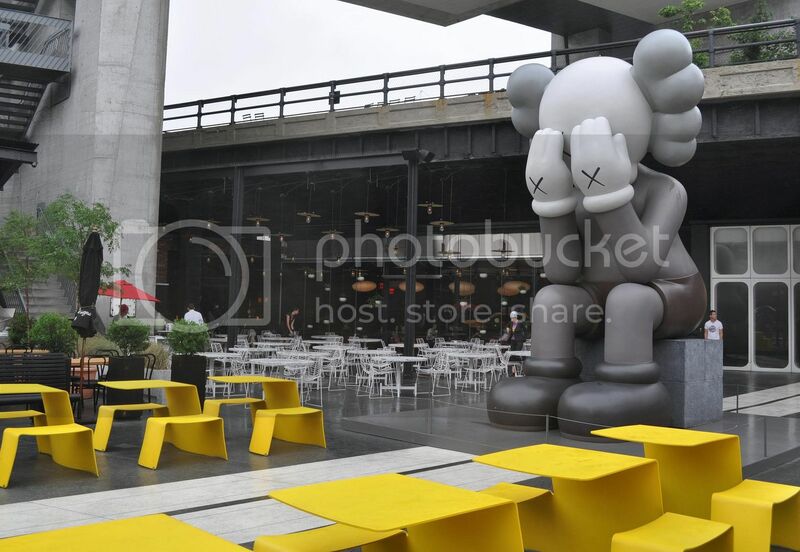 We stopped by on Saturday to photograph the work only to find out that KAWS himself had just been hanging out and talking to people- a huge disappointment that we missed him. The statue will be up until October. More photos after the jump.